Hail Caesar! Here come the Romans! At Rainbow Blinds we are proud to have a team of experienced seamstresses who produce Roman Blinds of the highest quality. 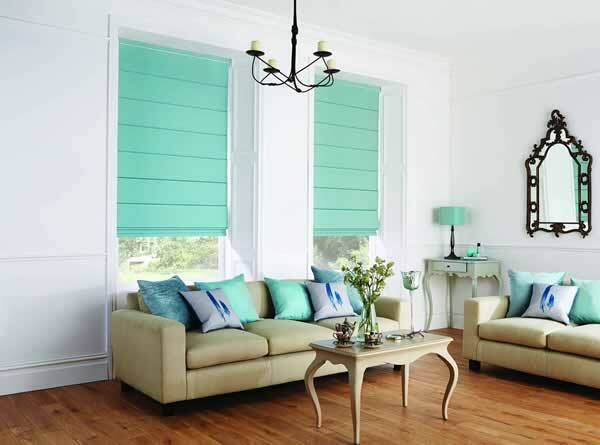 A Roman Blind from Rainbow Blinds will come with matching pelmet, chrome chain control and fully lined as standard. We can also offer the new Child Safety Headrail on all roman blinds we make meaning the blinds you sell offer peace of mind as well as a stylish design option. 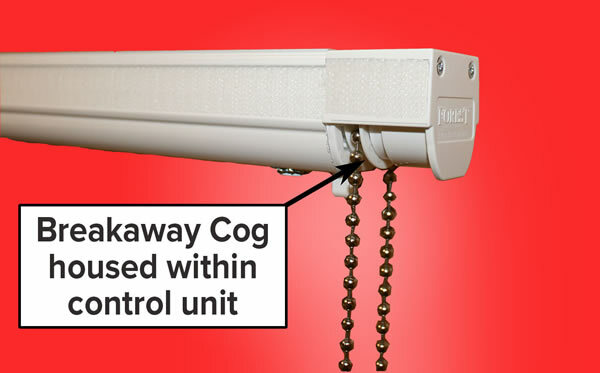 This child safety device is new to the market and has a breakaway cog housed within the control unit rather than on the chain. How can we better that? You can choose to have blackout lining, flame retardant lining or both. At Rainbow, our team can also offer padded interlining finish. Further options our customers have include shaped bottom panel and motorised controls. Rainbow Blinds offer customers choice from the major fabric collections in the industry including Prestigious, Harlequin, Louvolite and Voyage. If that isn’t suitable, you can supply your own fabric and we will make the Roman blinds for you. As a quality curtain and cushion manufacturer, Rainbow will supply you with bespoke soft furnishings to mix or match your customer’s Roman Blinds. All blinds Rainbow supply come with a 12 month manufacturer’s warranty to give you and your customer peace of mind. We deliver our Roman Blinds within 10 working days across the UK. 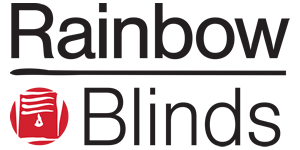 Contact the Trade Department on 01698 351 888 or email us at sales@rainbow-blinds.com for more information and our latest price list.